Summer is the perfect time to tackle home projects and pursue home remodeling and landscaping improvement plans. Often times, families want to make improvements to their home and yard but don’t know where to start. Most projects take a good amount of time and money. In order to make significant home improvements, you will have to spend time perfecting your project. Although, the cost of your projects can be minimized so I came up with a list of summer landscaping projects that can be pursued even if you are on a budget! – Seeding/Sodding: Although the price of grass seeds and sod has increased throughout this past year, a good yard will make all the difference. A luscious and green yard will make your house standout within your neighborhood. It shows that you care about the appearance of your yard, like a good haircut for example. – Flowers: Well placed, bright flowers will make all the difference on the appearance of your home. Placing them at the front of your house near your front door will make them easily seen and recognized by your neighbors and those who pass by your home. – Removing clutter: Removing dead shrubs, trimming overgrown bushes, and clearing out weeds is essential for a home and landscape that POPS! Clearing out unneeded plants, weeds, and bushes will make your appealing plants like flowers and rocks more prominent within your garden and yard. – Trimming: This applies to overgrown trees in your yard with branches too low or disturbing the view of your home. Trimming these trees will make all of the difference when trying to make your home stand out. – Painting: This applies more to your home than your landscape, but repainting your home if you haven’t done so within the past 5-10 years will make your home REALLY stand out. 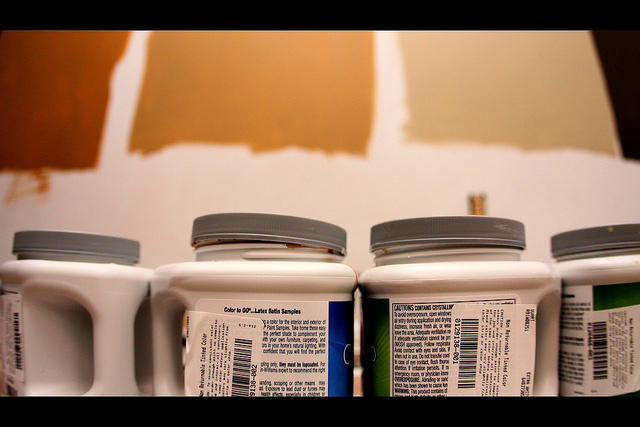 Paint is relatively cheap and will make the appearance of your home improve tremendously! These are all essential aspects of improving the appearance of your home. Although they may take some time and hard work, these are really cheap and budget-friendly. These can even be turned into family weekend projects that you can do a little each week. Even doing two or three of the projects on your list will make the improvement of your home noticeable by your neighbors!